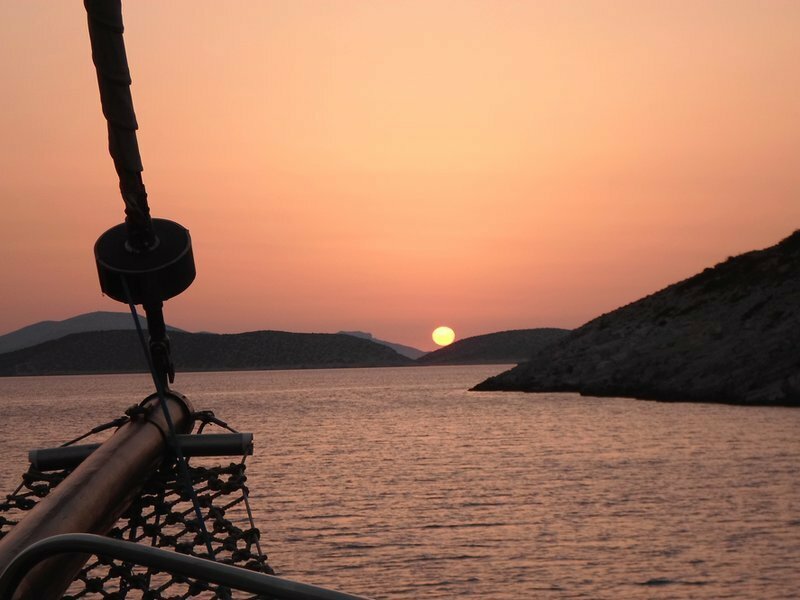 Sailing In The "CYCLADES like ODYSSEUS"
Here are the itineraries and spots we visit during our cruises "One Week Cyclades" during the months of May, June, September and October. 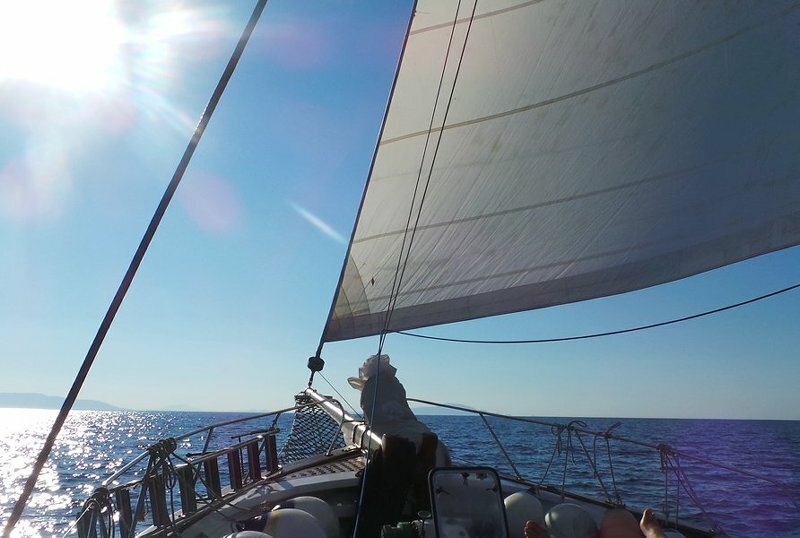 These are the best months for navigation in the Cyclades, not too hot, not too many people ... and not too much wind! 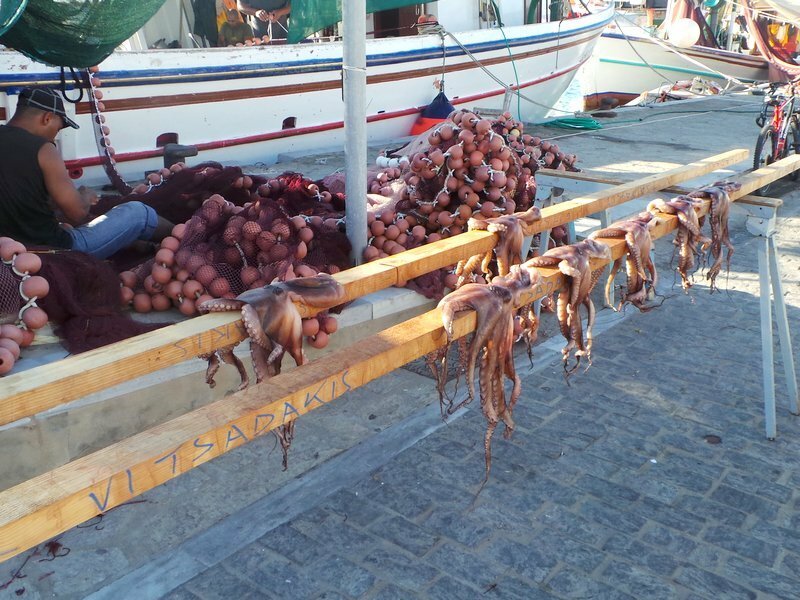 Indeed, in July and August, in addition to crowded ports, the Meltemi (north wind) can blow quite hard in the Cyclades almost all the time. 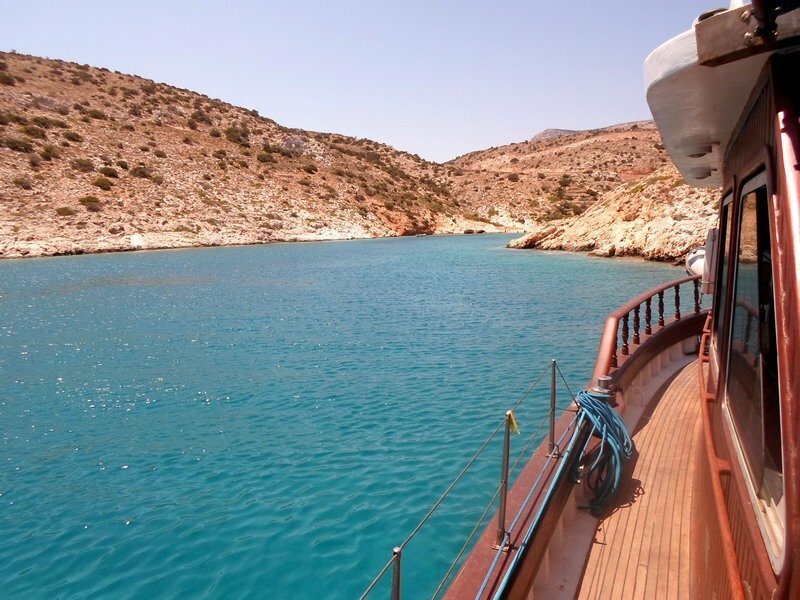 Therefore during these two months our yachts are cruising in to two other magnificent archipelagos, Ionian and Sporades, for a quiet cruise from coves to ports. 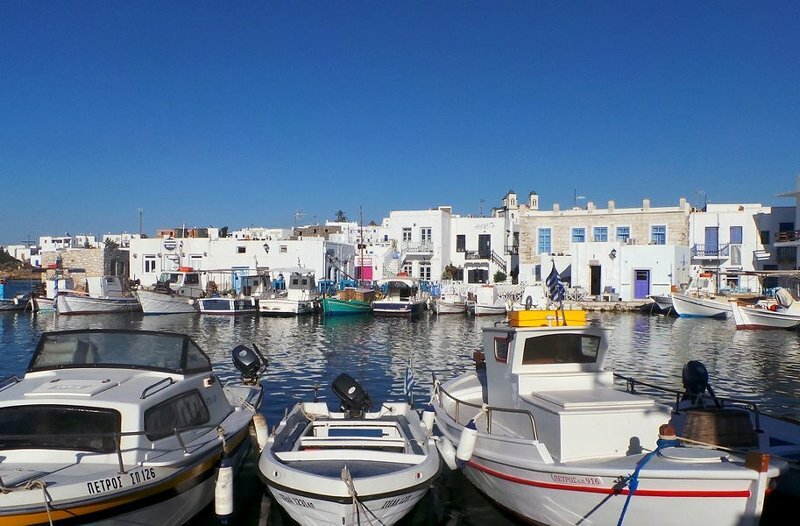 For the Cyclades, we start from Mykonos, which has great connections (ferries or planes) or Syros (for our West Cyclades itinerary including Milos). 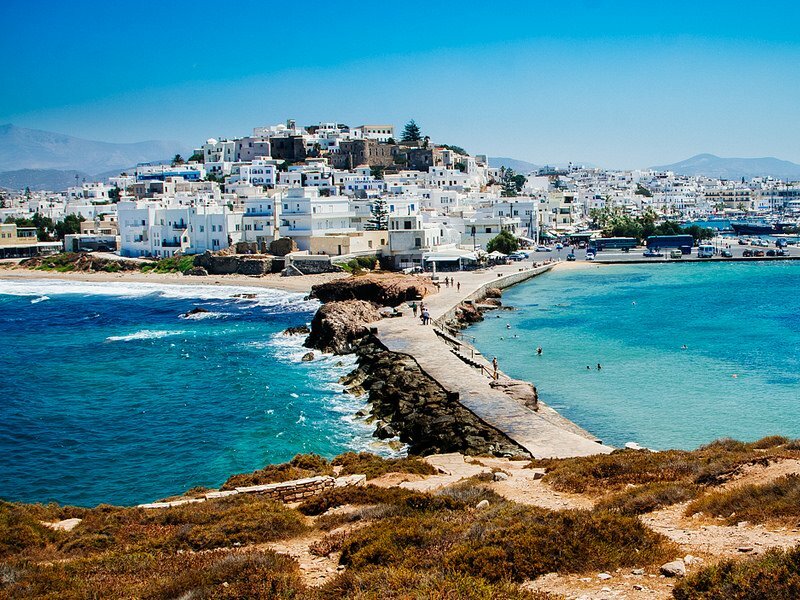 This greatly optimizes the route compared to a departure from Athens where the first and last day would be devoted mainly to ... join the Cyclades! 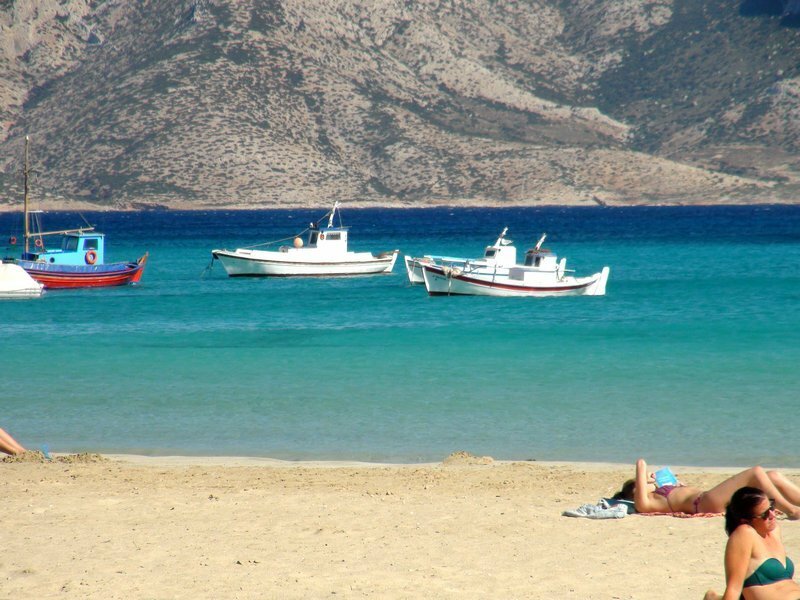 All our itineraries are indicative and can change considering weather, harbor possibilities or technical elements. 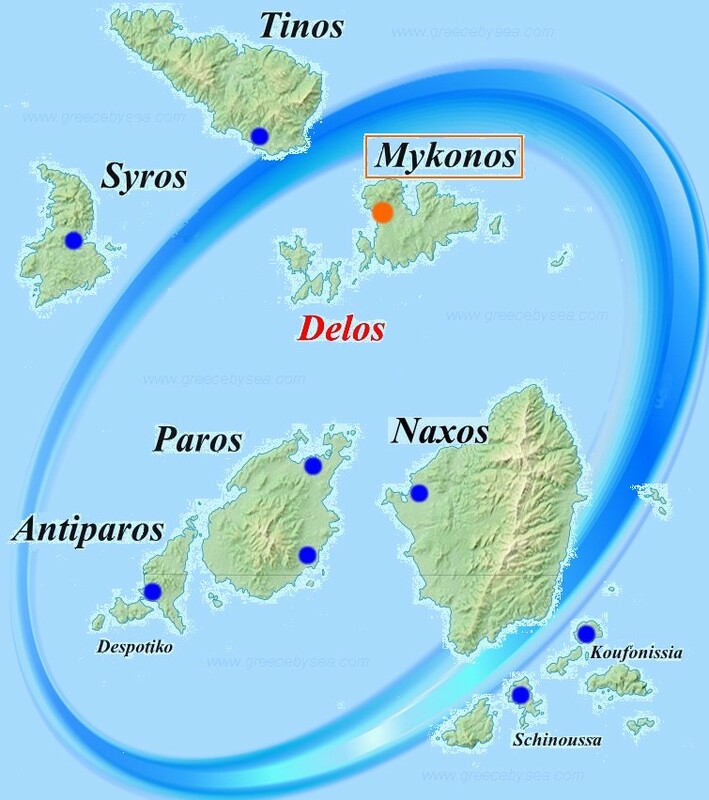 We sail on the first circle (Kyklos in Greek -> Kyklades) around the holy island of DELOS. 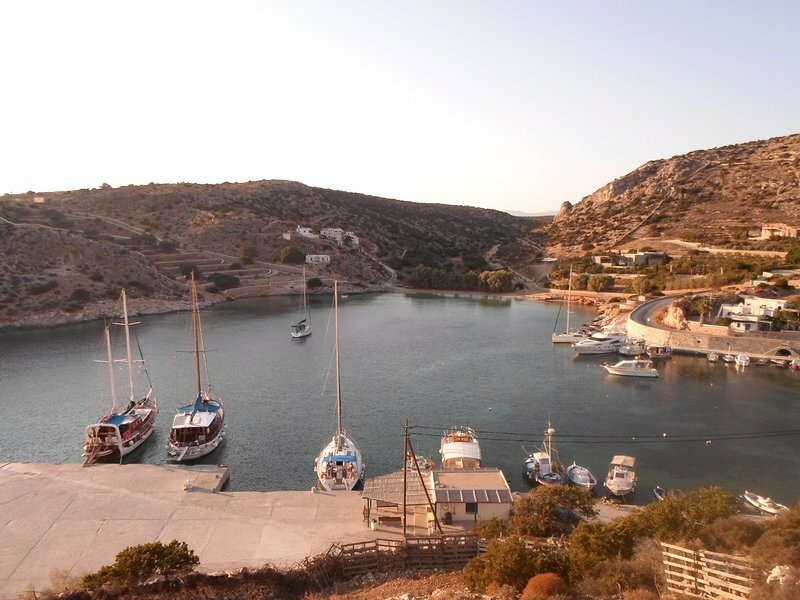 Blue pellets on the map are the possible night stops, but of course during the day you will enjoy also nice coves. 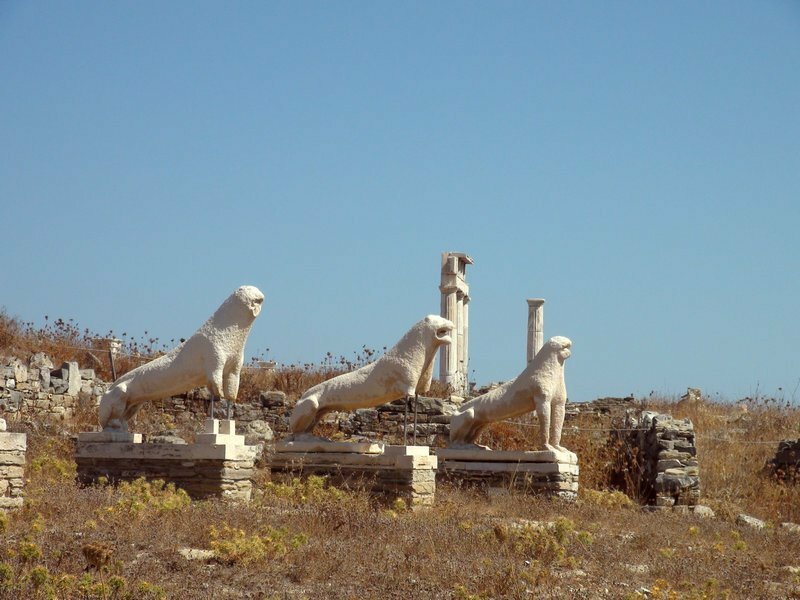 Captain will choose the itineray (with you in private cruise), listening to Eole and Poseidon. 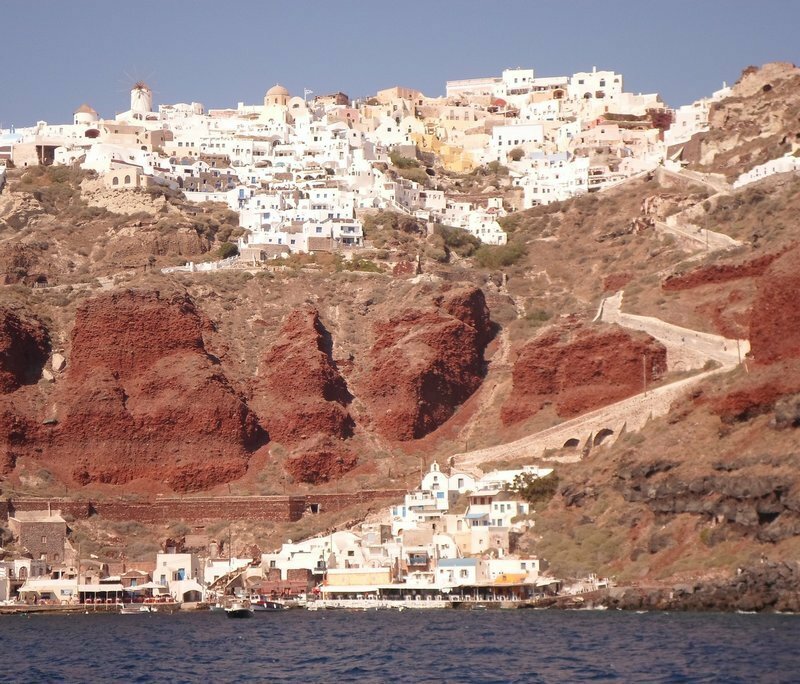 Why we offer the option to end to SANTORINI the Saturday at 11.55 AM by fast ferry from Mykonos, rather to include in our itinerary ? The result was very, very over crowded moments for our guests and... deception. 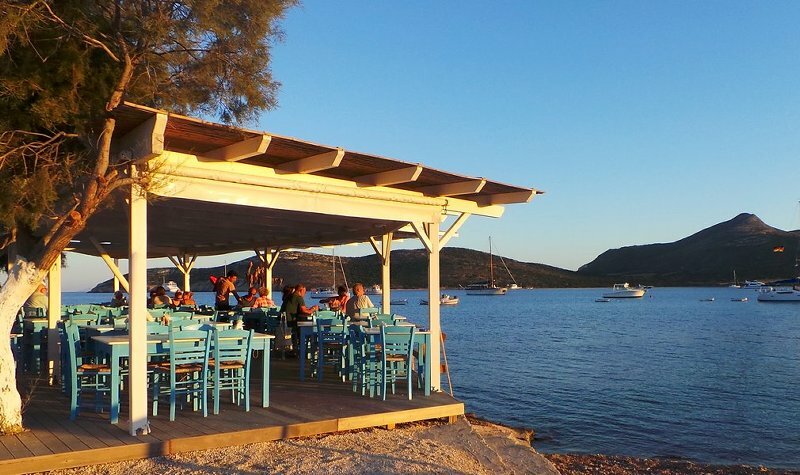 Better to go there and stay one evening and night, admiring a nice sunset after the cruise ships leave, and then take a plane or a fast ferry back to Athens or your country. And enjoy one relaxing cruise with us, without stress. 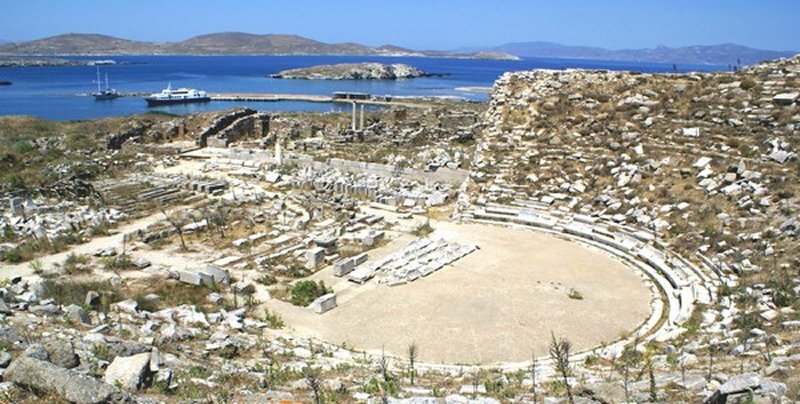 We offer also one other itinerary in the West Cyclades including Milos, starting from Syros. 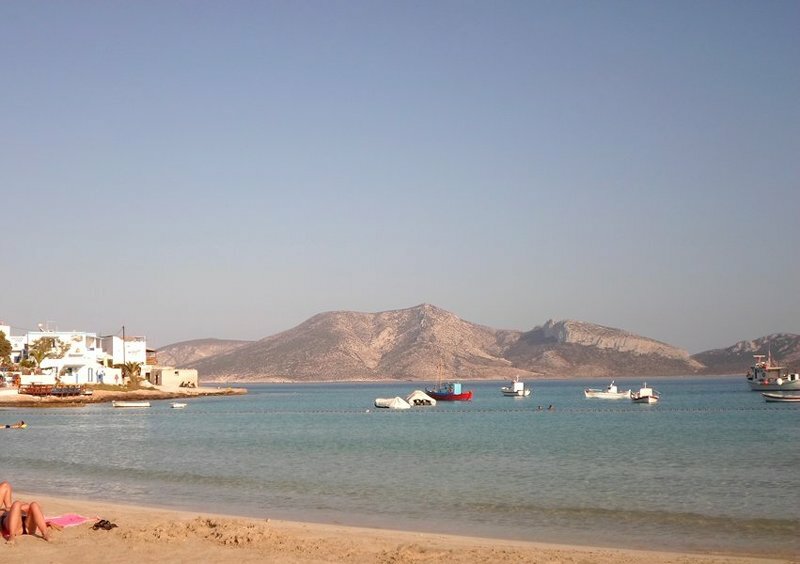 There is a ferry from Rafina (the closest harbour of Athens Airport) directly to Syros at 4:30 PM. 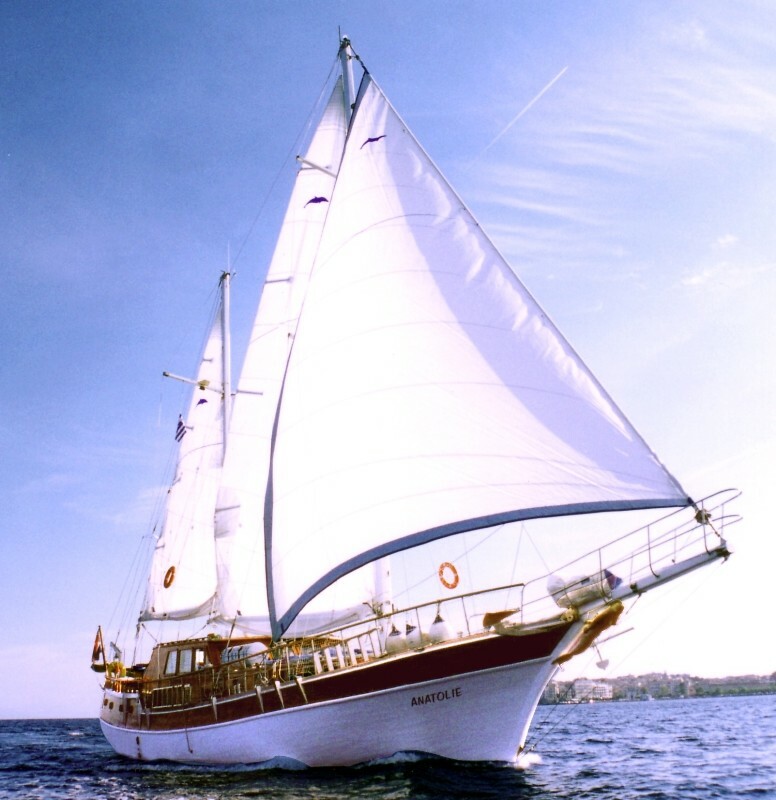 The captain can suit the itinerary to your wishes taking in consideration different elements as harbours, weather forecast, time of sailing and... return date. 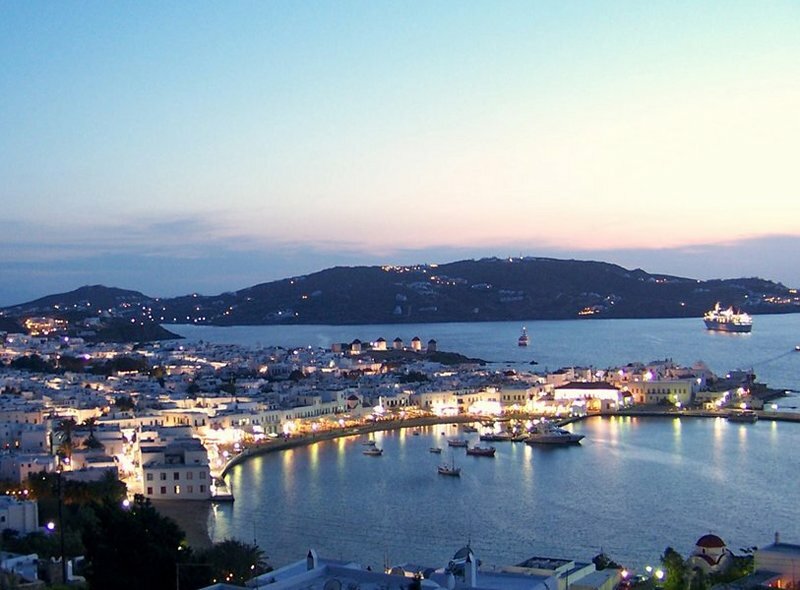 Mykonos: This stunning Cycladic village by the sea made Mykonos "one place to be" ... at least for one night! Each day we stop in a nice cove for lunch and enjoy the sea. Use the snorkeling and fishing gear on board and also a paddle. 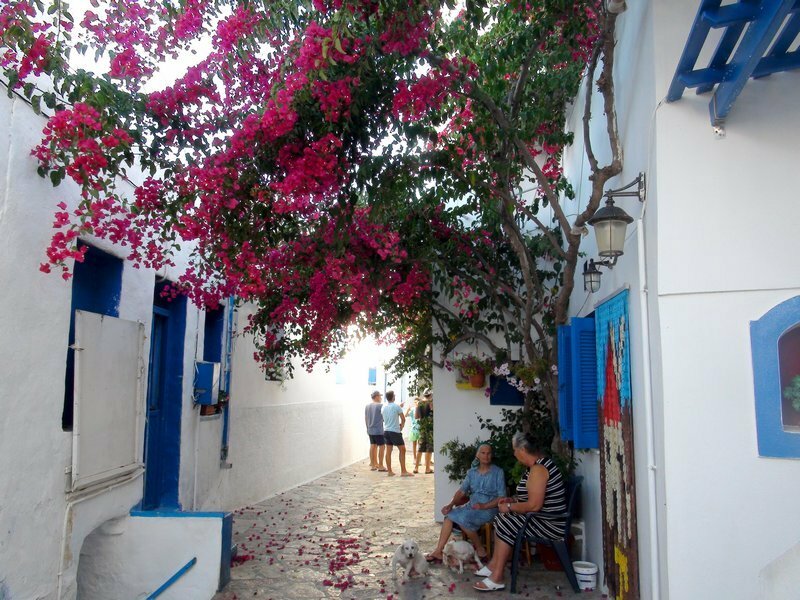 A typical small Greek street with bougainvillea - locals prefer the shade! 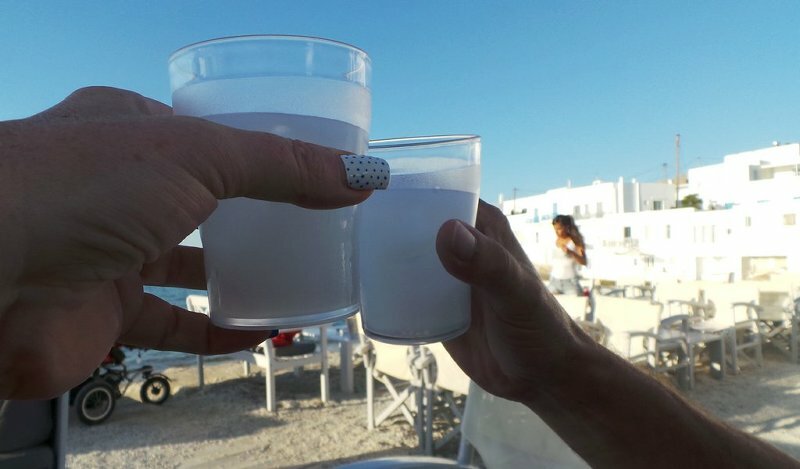 Welcome to Greece with an ouzo!